Construction, population resurgence, and in-migration. These are all words and phrases that reflect what is going on up on the surface above the Bakken on the northern Great Plains, North America. Numerous settlement patterns are emerging throughout western North Dakota because of this oil boom. 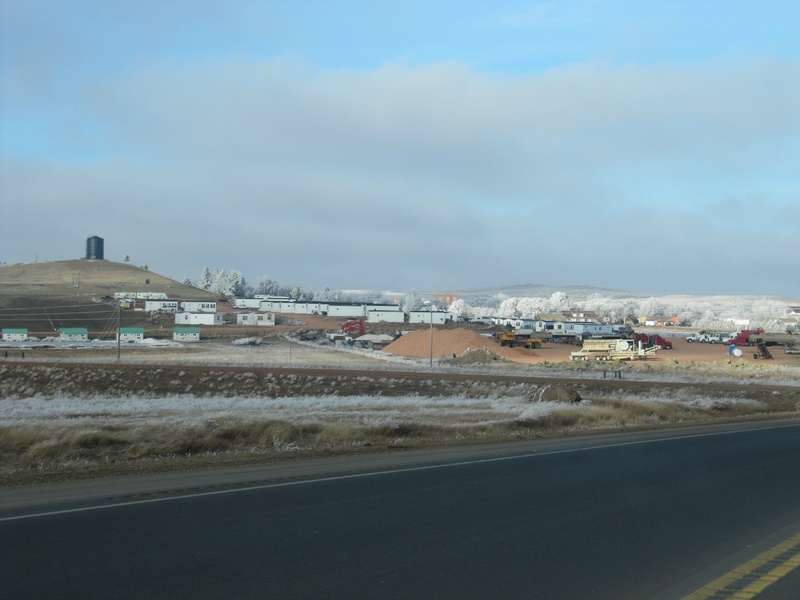 During my February 4, 2012 Tour de Bakken, I snapped some photos of the trailer and mobile home suburbs. Order and patterns are materializing from the chaos. The first photo is pulled from the North Dakota Department of Natural Resources GIS oil rig location map. The second is of Main Street in Watford City, North Dakota. Other photos are snap shots of the new camper and mobile home suburbs popping up here and there. Also, while uploading these photos to this blog, two thoughts about context struck me. From the context of the individuals that lived here before the onset of the oil boom, this influx of people is considered an increase in the busyness of the place. On the other hand, when contrasted with 35-W (Minneapolis) or Las Vegas or Ulaanbaatar, Mongolia or Beijing, China traffic, this western North Dakota traffic is incredibly tame (or, to be provocative, lame; or, to be diplomatic, laid back). 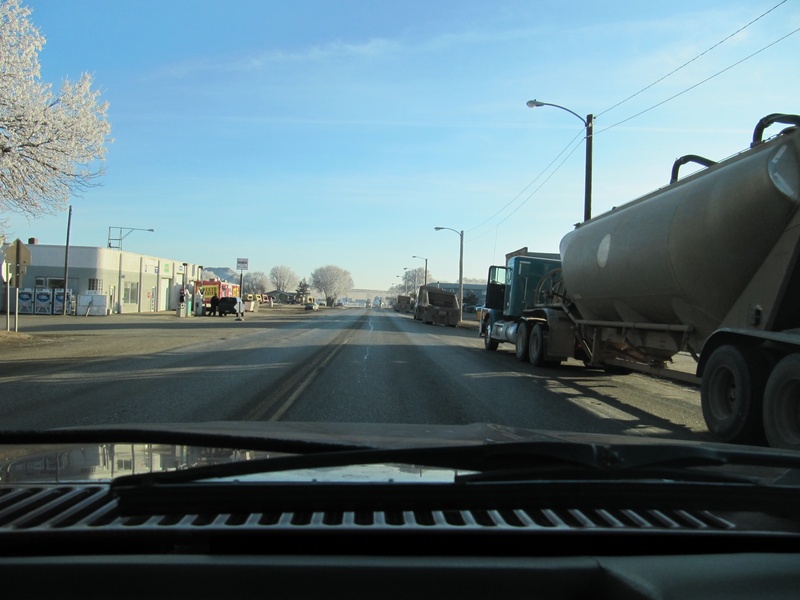 A Saturday afternoon photo of Main Street in Watford City, North Dakota. 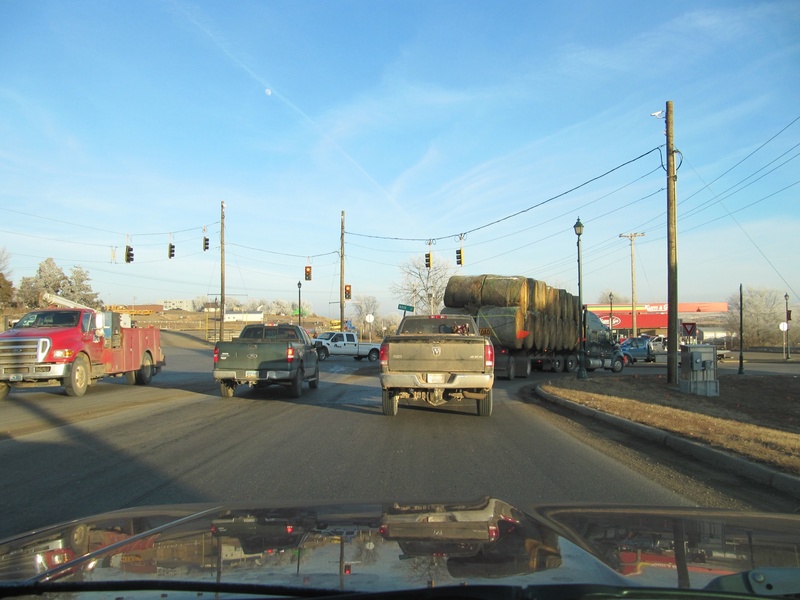 Vehicles associated with oil work are plenty, but also note the semi hauling hay, a nod to cattle ranching and red meat. Snapped toward the early evening, this photo looks south through Alexander, North Dakota. Semi trucks lined the right side of the street, and a block or two up and to the left is a "Sweet Burrito" roach coach. Perhaps a Brazilian churrascaria roach coach is on the way? Alexander is where the late North Dakota governor Arthur A. Link (1914-2010) hailed from. An incredibly interesting camper grouping nestled into a shelter belt north of Dickinson, North Dakota. Plywood is often (or always) put around the perimeter of the campers, this to block the cold and wind, keeping the camper warmer during the winter months. 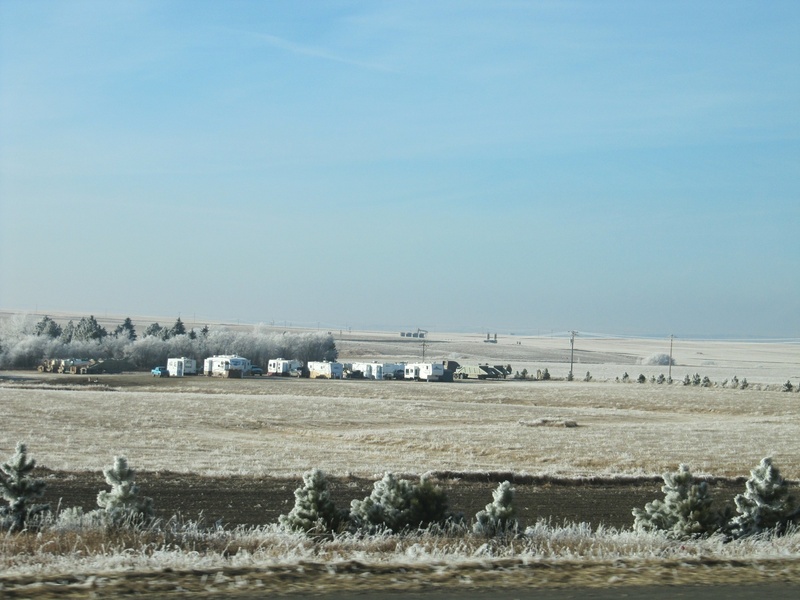 Another incredibly interesting photo, this of a mobile home grouping south of Watford City, North Dakota. This entry was posted on Friday, February 10th, 2012 at 3:03 pm	and posted in Uncategorized. You can follow any responses to this entry through the RSS 2.0 feed.